Check out these amazing storage solution ideas. Photo source left to right: Unknown, Unknown, A Bowl Full of Lemons. I think every home needs at least one of these over-the-door shoe organizers. They are so versatile and many of them can be cut down to fit smaller doors. 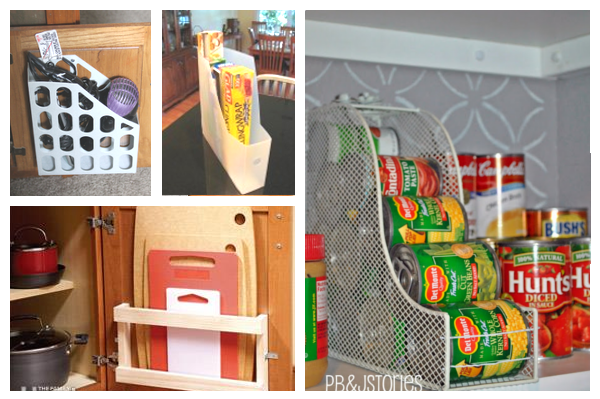 They can be used in the pantry to store spices, drink mixes, snacks, baby bottles and sippy cups. Place one in a closet to store cleaning items, electronic cords, spare keys, gloves, sunglasses, winter hats, sun screen and bug spray. Cut a few of them to fit inside the kitchen cabinet doors to store food containers lids, dish scrubbers, sponges, plastic drinking glasses and utensils. Hang one on the inside of your shower door or on the curtain rod to hold shower essentials or kids bath toys (You may need to poke a few holes in the bottom of each pocket to allow for water to drain out.) or in the garage to store tools and hardware. There are so many uses for these!! Can you think of any?? The plans for this adorable kids craft can be found on the Ana White website. While this one is for kids I would love to have a larger one for myself. It would clear up so much space in my craft closet. You could even make it with a solid top to hide the clutter inside. A few other ideas would be to use one as a coffee or end table and store board games, movies, remotes, or spare electronics and accessories. You could also use one outside as a garden table to store items such as seeds and small garden tools. 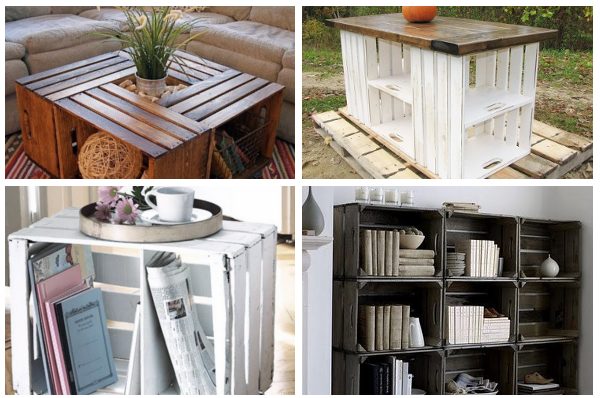 Photo source left to right, top to bottom: DIY Vintage Chic, Evergreen Furniture, Unknown, Unknown. Wooden crates can be very inexpensive ($7 at Micheals Craft Store) and provide an abundance of storage. 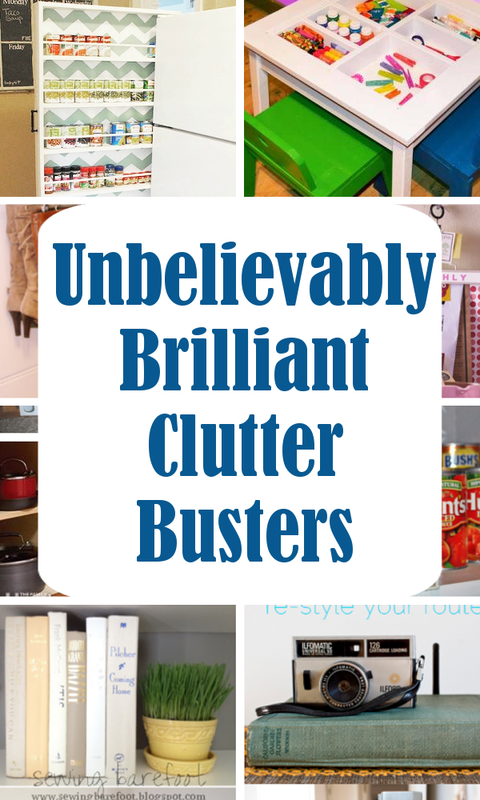 Use them as book cases, a coffee table, or a kitchen island. Place a few by the door to store shoes or add casters to create mobile storage. 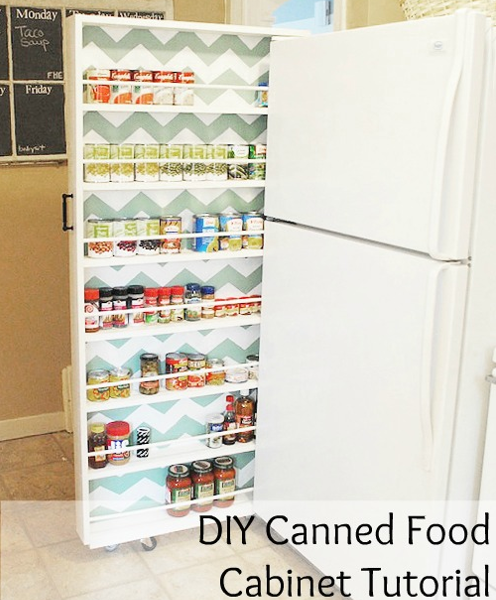 This slide-out tutorial from Classy Clutter can be customized to any size and can be used in any room, not just the kitchen. 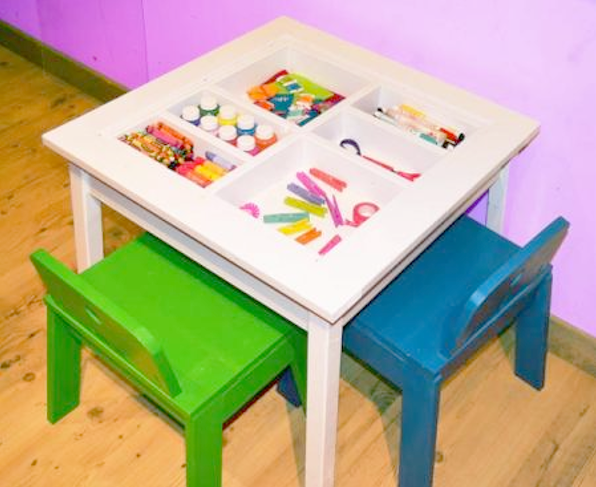 A few idea; next to your desk to store office supplies, in a child's room to control toy clutter, in the garage (Install pegboard on the back wall) to hang your tools, or in the laundry room to store cleaning supplies. Photo source left to right, top to bottom: Browne Eyed Belle, Poppytalk, Unknown, Real Simple, Unknown. Pants hangers are great for organizing your pants but they can also do so much more. 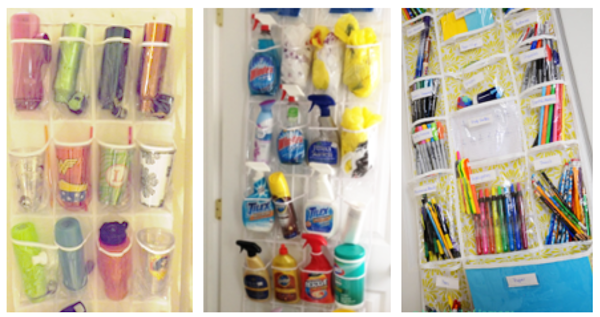 You can use them to store your boots, organize scrapbook paper and sewing patterns, or hang up your bath mat to dry. 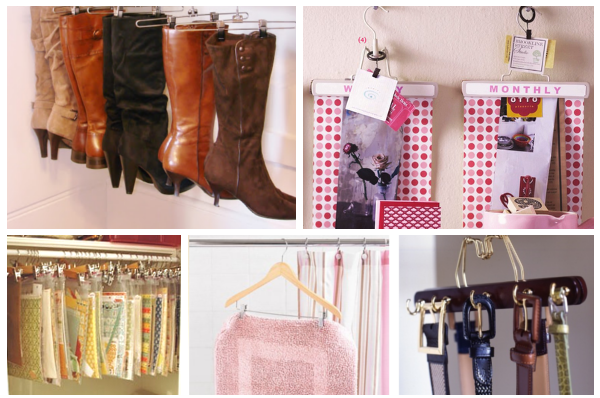 Add a few hooks to hang up belts and scarves or use them to display items such as kids artwork, family photos, a calendar, or a weekly organizer. Another versatile item is a magazine holder . With a little imagination they can be used in any room in your home. Use them in the kitchen for items like cutting boards , sheet pans, canned food, food or storage container lids. In the bathroom they can be used to hold your hair dryer and curling iron. You can even stack them sideways to make mini shelves! Using books as hidden storage has been around for ever. And for good reason too!!! 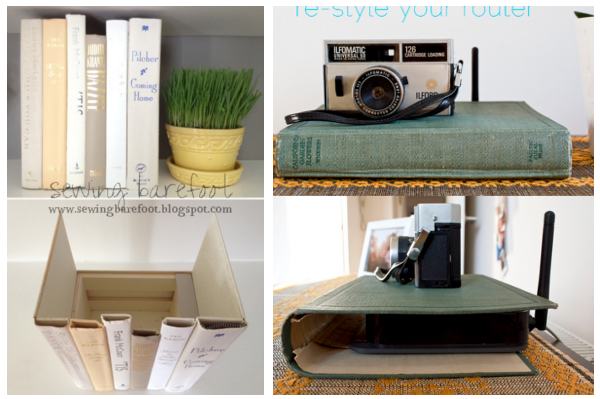 Imagine all the items you can hide behind a few pretty books. Remotes, spare cords, small toys, game accessories, art and craft supplies.